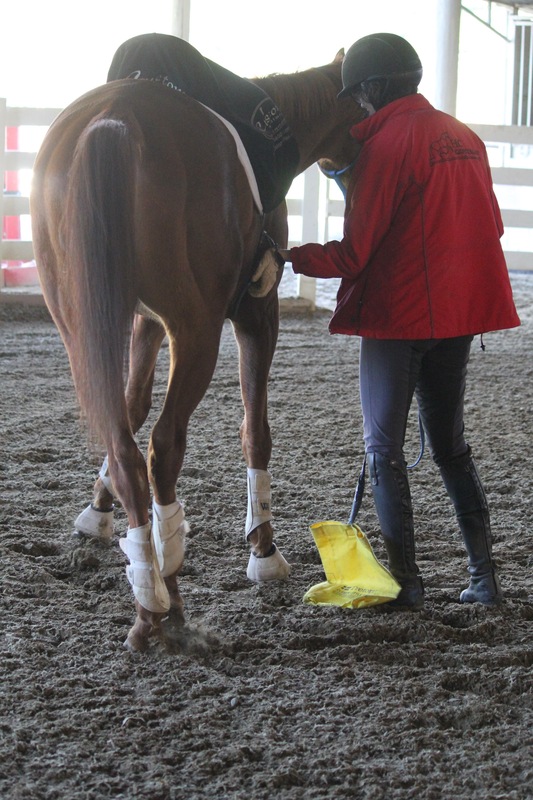 Along with its cousin, the rein yield, the leg yield is an essential tool I teach my horses. Before I go over how I teach it, let’s learn some vocabulary. When a leg is moved away from the body, that is abduction. Just like child abduction, when a child is taken away from its parent. When a leg is moved inwards underneath the body, it is adduction. Just like people add to a crowd by getting closer to it. The horse should be able to adduct and abduct each leg. You may find your horse has a leg, or legs, that are difficult to adduct or abduct. Your horse may never have been taught to do that motion and he might lack the strength and flexibility to do it. Teaching him to abduct and adduct each leg will help him balance his body better. It’s also a great way to build strength. I begin by standing at the horse’s side and putting my palm on his barrel at roughly the height my calf would be while I’m mounted. I’m the beginning, I’d place my other hand on the horse’s shoulder to help him understand that I don’t want him to only move his haunches. I apply pressure until I see the horse move away from me. The horse may step forward or back before he goes sideways, and your job is to move with him. 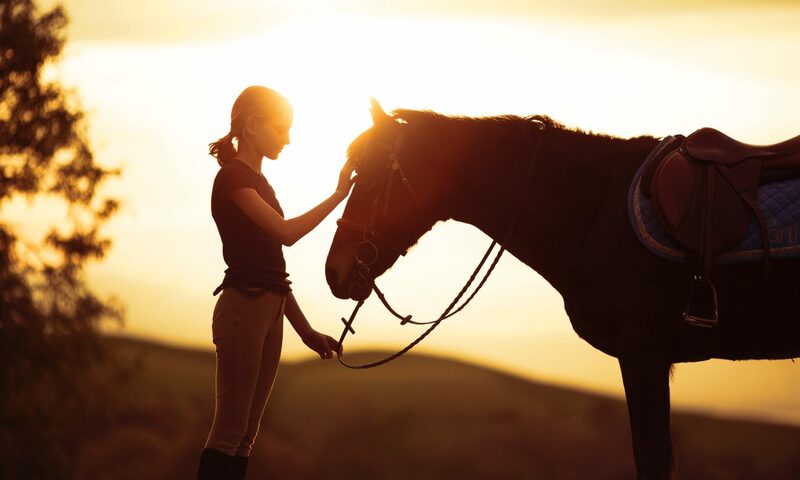 Watch his feet and as soon as the horse takes a step away from you, release your pressure by ceasing to touch your horse. Praise, wait a few moments, then repeat. After the horse understands the two handed cue for leg yield, leave out the shoulder cue and only use pressure on his barrel. After that, you can start to keep the pressure on until you see abduction and adduction from each pair of legs. The release of pressure becomes more clear in the next moment as Blue adducts his inside (right) hind. You will notice that I did not move at all from one picture to the next, Blue simply steps away from my hand, and my hand does not follow him. 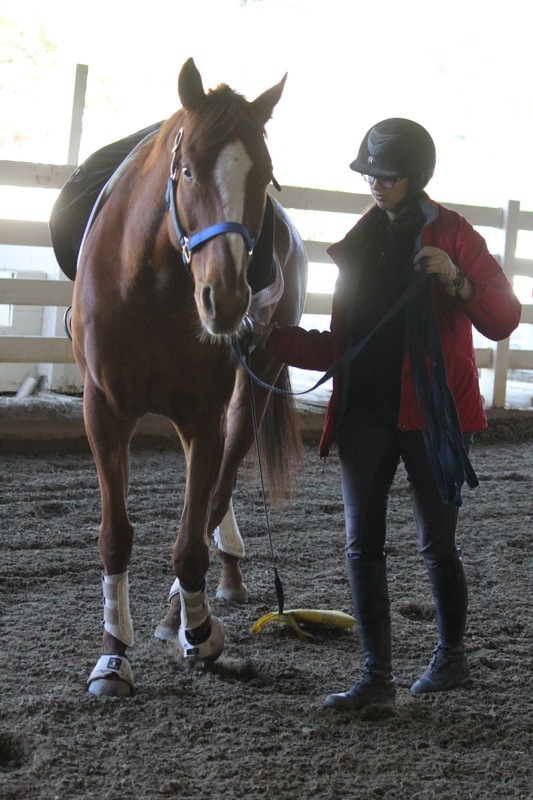 Keep in mind the amount of pressure you apply to the horse, and quantify it in your mind. We want to build a response to a light cue. One way to quantify the pressure is if you are touching the air near the horse, the horse’s hair only, the skin, then even harder is pushing against the muscle, and then pushing on the bone. You want your horse to respond to hair/skin level pressure, but you may have to get tougher at times and use muscle/bone pressure. Tougher horses sometimes begin with harder pressure, but with correct application of release, praise, and repetition they usually learn to respond to a lighter touch happily. This is good news for me, since I don’t want to have to expand unnecessary energy when I ride. You want to be sure to work both sides of the horse, but don’t expect the horse to connect what you did on one side of his body to the other side. You will essentially have to train each side of the horse separately using the same techniques of gradual progression, release, and patience. 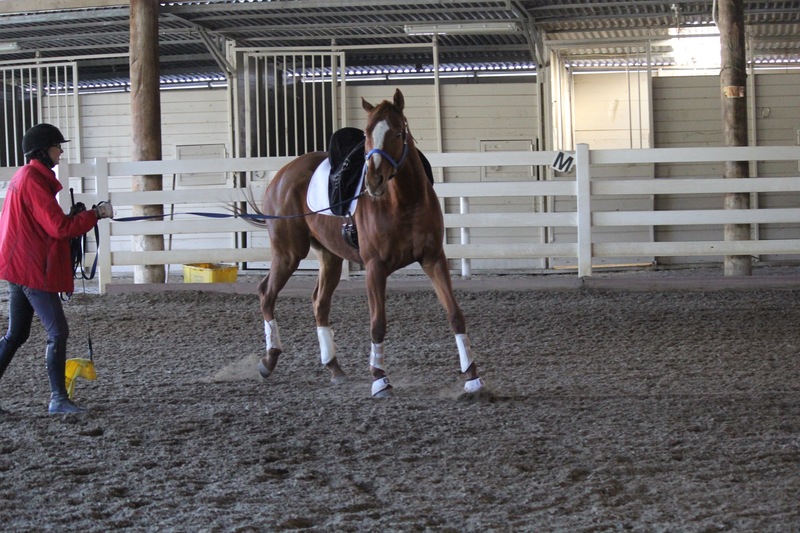 Once the horse has an understanding of how to move sideways from the halt, you can try the cue while he is walking. Be sure to keep a hold on your line so that you can pull your horse’s head toward you if he tries to kick you. He may never have had constant pressure applied to his side while in motion and take offense. Blue respond to pressure on his barrel to yield while walking. Next, try longing your horse and asking for him to step sideways from a distance. While he is moving I direct my energy toward the part of his barrel I apply the yield cue on. I lean in to the area, and follow up by pointing, then shaking the flag at his barrel. As soon as I see the abduction or adduction, I stand up straight and lower my flag. As he gets more sensative to the cue, I ask for more sideways steps. 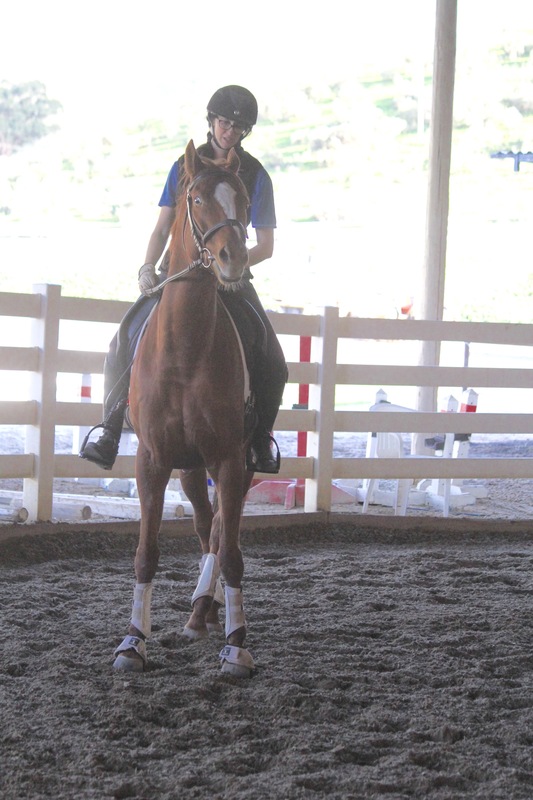 Once it’s going well in the walk, you can try the trot, and even the canter. Blue yields from a distance. I’ve directed my energy toward the place on his barrel that I was applying pressure. In this instance I am walking towards the area to amplify my intent. As with all the yields in this series, I keep his nose pointed towards me. Each horse is an individual. Some horses may get through all these steps in one session, some may need a dozen sessions to get through this. Have reasonable expectations and listen to your horse if he says he’s had enough. Once you get on your horse, you can begin the leg yield while mounted. Your horse now knows the cue to move sideways from pressure on his barrel, the difference being that your leg is now applying the pressure, instead of your hand. You may use your reins to keep the horse from solely moving forward, but be sure the horse has an “open door” to go through. Blue easily moves away from my left leg despite having his focus on something happening to his right. My inside (left) rein helps him to look to the inside, my outside (right) rein helps to prevent him from moving solely forward and opens the door for him to go through. My right leg makes sure not to block blue from traveling towards it. Whether you have a green horse, or an established horse, it is good to check on these basics from time to time to see if your horse can easily adduct and abduct all four legs. 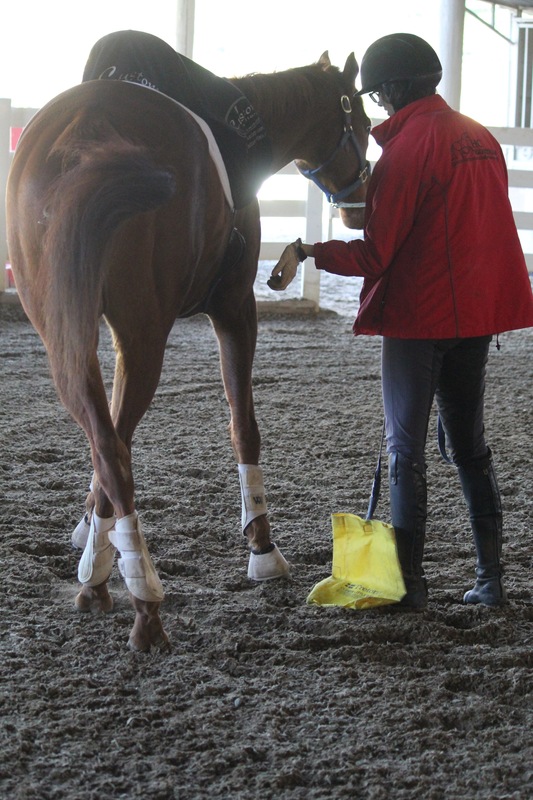 If there is a way in which your horse cannot move his legs, that is a hole in his training that ought to be filled in.